Multiple protocol converter with dual output ports of upto 100 watts. 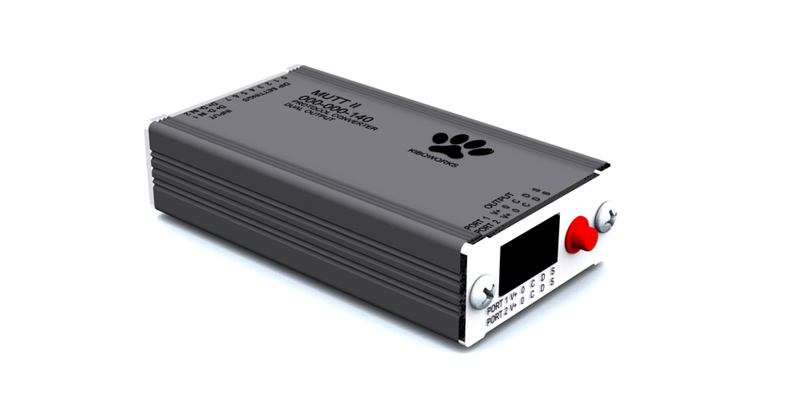 The Mutt II is small protocol converter with 2 seperate output ports. 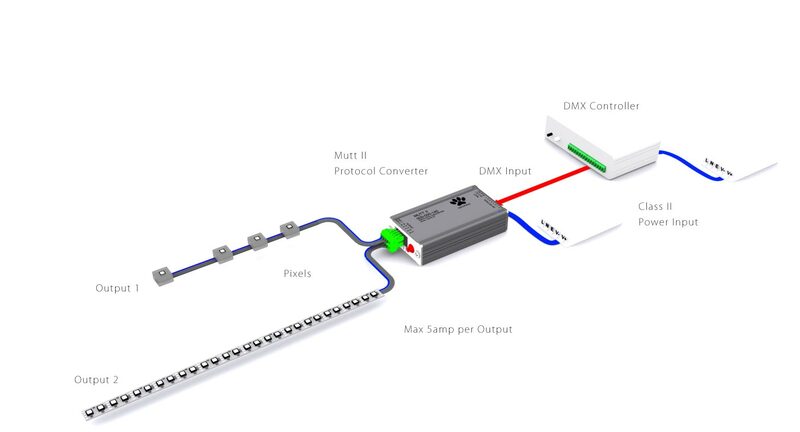 The unit will accept DMX512 or Stream serial data from a RS485 network and convert to a variety of LED addressable driver protocols commonly used in video displays, LED dots on wires, LED tapes and more. 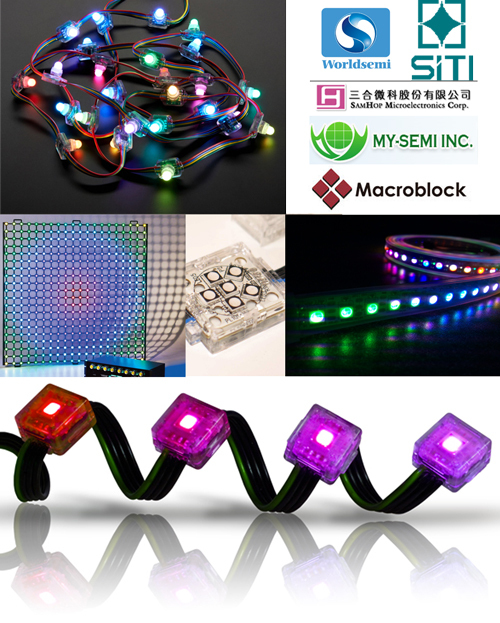 The onboard dip switch makes addressing simple. It's small size allows for easy placement into junction boxes or simply tuck out of view. 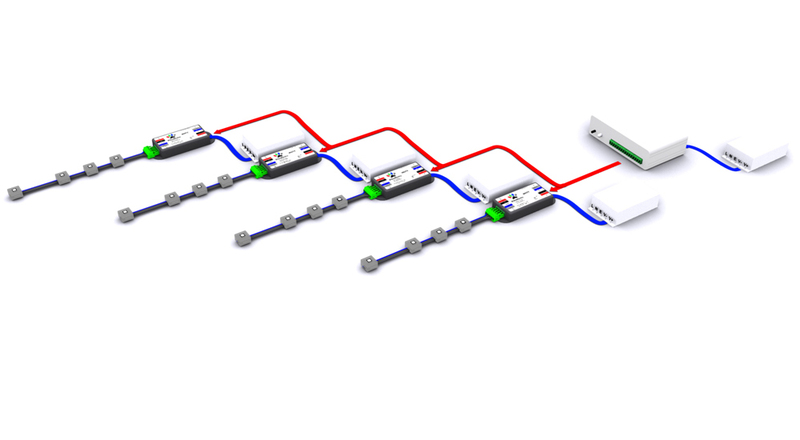 Pluggable terminal blocks makes installation simple by eliminating specialized tools. For the theatrical installer this unit supports a variety of gamma tables to ensure the LED product can display the full spectrum of color even when stage lighting is at minimum levels. Advanced features include color correction per pixel, color adjustment per string or tape. In addition pixel duplication, addressing and built in test patterns makes this unit far more useful than existing products. The built in KiboMenu serial interface does not require specialized or costly software because it is free. This design ensures each unit regardless of version has the correct software and features.